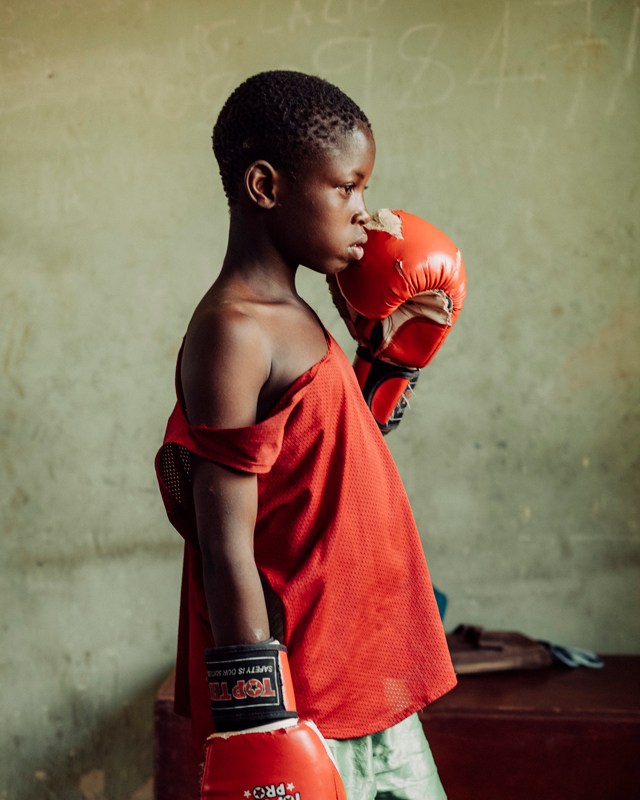 Musa, 10, trains at the Kano Amateur Boxing Association. The streets are wide, lined with flowering trees, and crowded. They’re full of auto rickshaws plastered with images of the likes of Justin Bieber and Michael Jackson; children pressing their wares—fruits, toiletries, drinking water packaged in plastic bags, even inflatable flamingos—up against car windows in an attempt to make a sale; and the occasional delivery bike laden with loaves of bread or boxes of instant noodles. As we near our destination, however, paved streets turn into narrower and bumpier dirt roads, and instead of large storefronts with bold, acrylic signs we see dark, makeshift roadside stalls. We’re in hot, dusty Kano, West Africa’s oldest city and northern Nigeria’s commercial hub. Set in the country’s most populous state, it is home to more than 10 million people. The majority-Muslim city is also the heartland of Boko Haram, making it both a major target of attacks and a source for new recruits. The group is responsible for the kidnapping of some 200 schoolgirls in 2014—their disappearance spawned the international #BringBackOurGirls campaign—as well as for regular attacks against civilians. More than 15,000 people have died since 2011. But you’re much less likely to have heard about the important work done to counter the group and prevent its growth. That work is what deserves the spotlight. 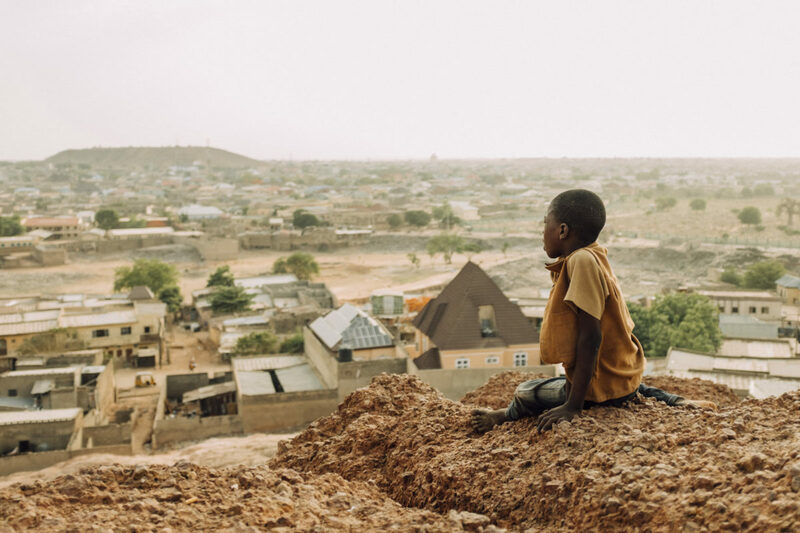 A boy looks out from Dala Hill, considered to be the first site of settlement in Kano that provides views of the entire city. The part of town we’re now in has been particularly affected by the crisis. Poverty, little access to education, rampant early marriage, and high birth rates have led to many children with parents who can’t take care of them. 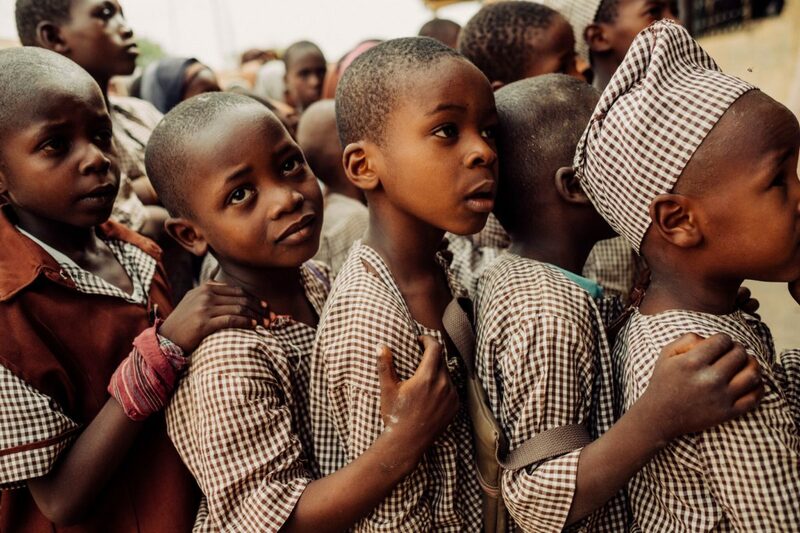 These children often end up on the streets, ready to be picked up and groomed by gangs, including Boko Haram, whose intents vary from perpetuating petty crime and providing security for corrupt politicians to advancing extremist ideology. We pull up outside a large compound that encloses a shabby field and a few one-room buildings. 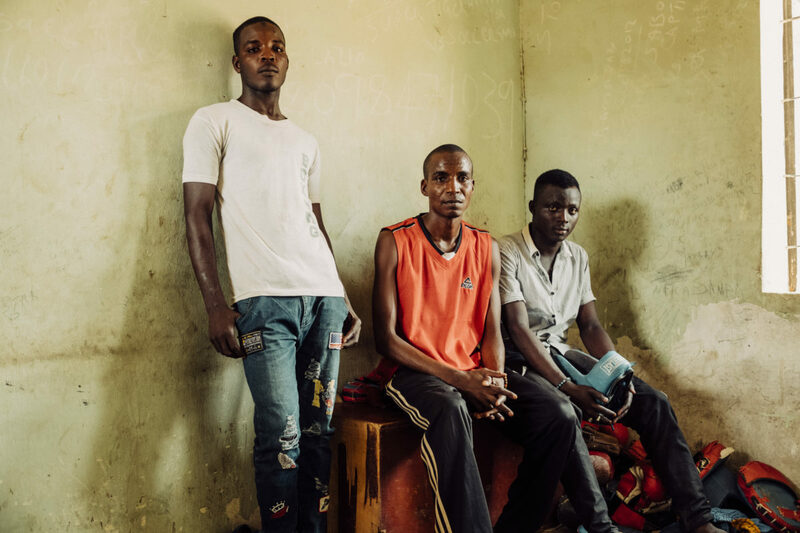 This is the home of the Kano Amateur Boxing Association, a training center with a twist: the club hinders gang recruitment in the area and rehabilitates ex-gang members through boxing. It gives at-risk children and young men skills, a community, and a new purpose. The one key tenet all participants must adhere to is: No fighting of any form outside the boxing club. 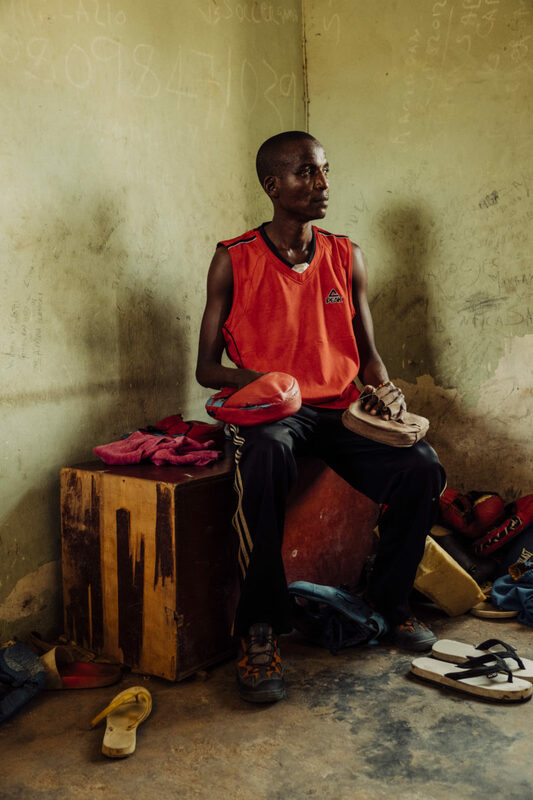 Shehu, 35, an ex-gang member who now voluntarily runs the Kano Amateur Boxing Association. The project is the brainchild of Peace Initiative Network (PIN), a grassroots organization based in Kano that develops and supports projects that build peace in the northeastern part of the country. The fact that PIN is run entirely by Nigerians, who have an understanding of the nuanced cultural context they’re working within, is its key strength. Local groups are able to build trust with community leaders and vulnerable groups in a way that international organizations, however well-meaning, cannot. 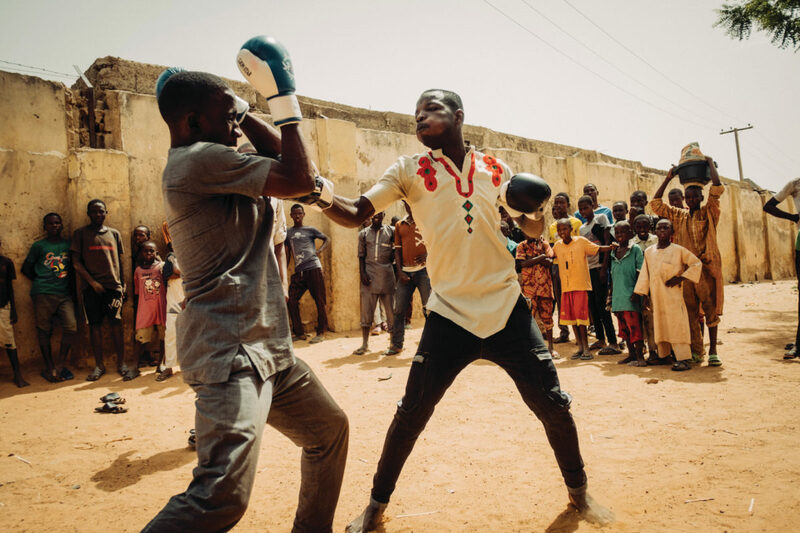 In the case of the boxing club, PIN coordinator Michael Sodipo discovered ex-Boko Haram member-turned-boxer Shehu through his network, introduced him to the concept of peacebuilding, and mentored him as he transformed his newfound passion into a way to help his community. 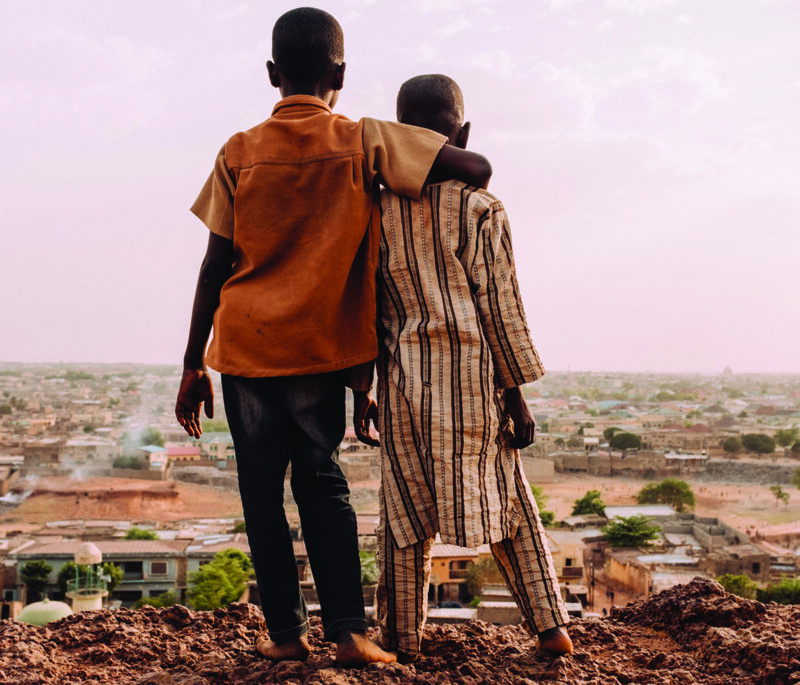 Shehu was recruited off the street into Boko Haram when he was just five years old and brainwashed to make a life of violence feel purposeful. However, driven by a desire to return to school, he left the group when he was 17, handing over the names of commanders of the terrorist group to security forces in exchange for protection. 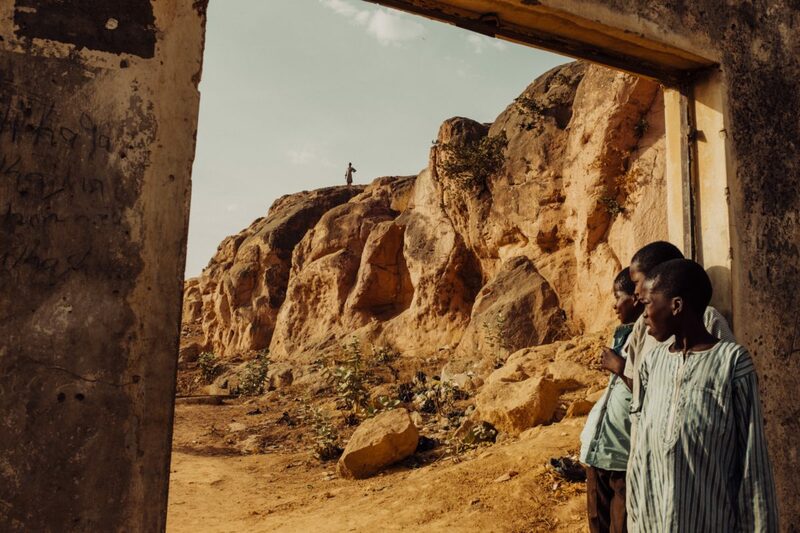 After being inspired and educated on social work methods by PIN, Shehu now runs the boxing club to deter others from going down the path he was on and to create a safe space where ex-combatants know they’ll be accepted. Shehu (center), runs and coaches at the Kano Amateur Boxing Association where boxers Auwal, 20 (left), and Rabiu (right), 20, train. All three are former gang members. During Away’s time in Nigeria, PIN introduced us to several other similarly powerful and effective projects. We visited schools that teach unbiased journalism as a way to challenge violence, soccer clubs that put Christians and Muslims on the same teams, and training centers that equip enrollees with skills so they can earn incomes without engaging in criminal activity. Away’s nonprofit partner Peace Direct identifies and provides ongoing financial and managerial support to local organizations like PIN in other conflict and post-conflict regions around the world, including the Congo, Somalia, Syria, Pakistan, Sri Lanka, and Israel/Palestine. Peacebuilding is an important, and often underfunded type of international development. Without peace, life may go on, but people and places will never thrive. 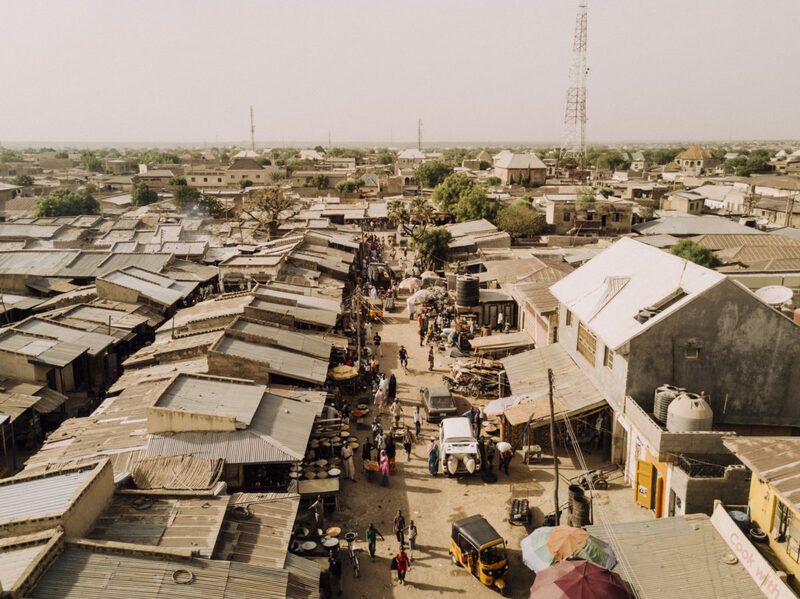 While Kano residents generally feel safe, attacks are unpredictable—so they often leave the house knowing there is a chance they might not return home that evening. An indication of the validity of these fears is found in the very visible security presence around the city: People are searched before entering malls and major department stores, and, after a 2014 attack that left hundreds dead, cars are no longer allowed within two kilometers of the Central Mosque during Friday prayers. Children looking up at Dala Hill. Members of the PIN-supported Peace Club at the Abdulkareem Arabic Primary School sing songs to warm up before Peace Club activities begin. 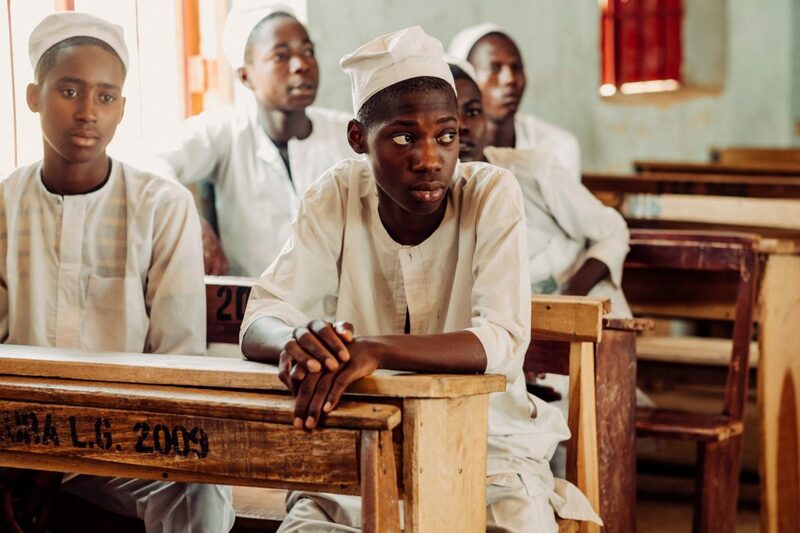 Mohamed, 18, a member of the PIN-supported Peace Club at the Government Arabic Secondary School (GASS) Kura. The conflict has also led to an economic downturn in the region as businesses have relocated to more stable parts of the country, and tourism has trickled to a halt. We found that Kano had much to offer, but almost all the places we visited—from the Chinese restaurant serving unexpectedly authentic (and delicious!) food to the 500-year-old indigo dye pits that were once a busy heritage site—were empty save for us. That would change, however, if enough projects like the ones supported by PIN were funded and scaled to lead to lasting peace. Boxers Auwal, 20, and Nura, 22, who train at the Kano Amateur Boxing Association. Visit impact.awaytravel.com to learn more about Away’s partnership with Peace Direct.